When most Gauchos think Associated Students, they think student government and behind-the-scenes action. Yet, AS is actually made up of more than 30 student-run organizations and committees, as well as numerous campus-run services and resources paid for by student fees. The best part about AS? They are usually looking to hire undergraduates. The AS Bike Shop, located near the old pool on campus, is the best place to receive free advice and discounts on bike repairs. 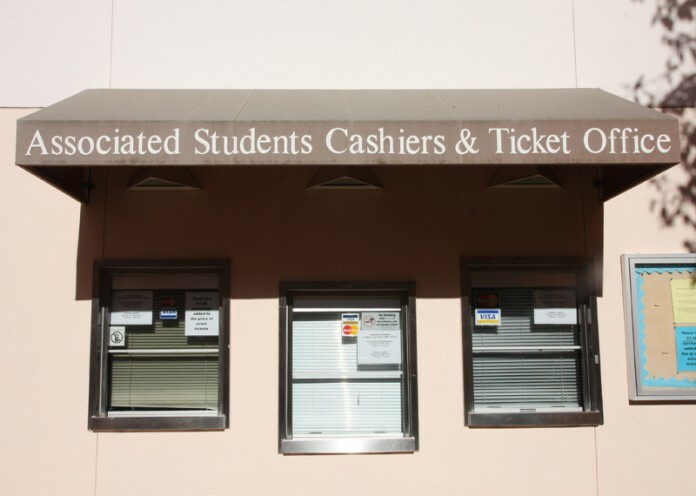 The AS Cashier’s Office, located near the UCen, is the most common place for students to buy readers, bus stickers, and event tickets. However, they also provide discounted tickets to theme parks such as Six Flags and Disneyland, as well as short term emergency loans for students. The AS Legal Resource Center, along with the AS Office of the Student Advocate, provides students with free and expert legal advice regarding California State Law, Federal Law, and Local Ordinances. Basically, if you get caught being drunk in public or drinking in the dorms, these are the two AS resources you want to check out the most. 99.9 FM KCSB is a popular radio station in the Santa Barbara community. As an AS-funded organization, it is both a non-commercial and educational broadcasting tool for the public interest. A predominantly student-run station, KCSB allows students to work with other students while learning the behind-the-scenes of radio. As a green campus, UCSB prides itself on being an environmentally friendly and conscientious community. The AS Recycling Program is responsible for most of the recycling on-campus by hiring undergrads as route riders who bike around campus gathering recycling from the beige receptacles, or as techno-recycling technicians who collect electronic waste from bins and process it for sorting. AS Publications, and AS Notes have note-taking services that can provide a model for incoming freshmen or new students by providing clear copies of diagrams, formulas, and other illustrations. AS Notes is a great source for learning independently that helps you further understand material in your class. Plus, all AS notetakers are either grad students or professors teaching the courses. “AS Publications not only helps you with your notetaking, it’s also extremely cheap when it comes to making fliers and copies,” said Cori Lantz, a fourth-year Political Science major. The student government portion of AS is primarily made up of the Executive Board, the Legislative Council, and the Judicial Council. The Exec Board consists of five elected students who represent the undergraduate student body of UCSB on all local, state-wide, and administrative campus affairs. The AS Judicial Council provides students with a greater voice within the campus community. Comprised of a chairperson and 4 Members-at-Large, it is similar to a US Supreme Court by allowing students to bring their concerns forward in a professional and open forum. The AS Legislative Council consists of elected representatives who serve as the policy-making and governing body of AS. They strive for open communication between students, the administration, and the community. Overall, the students and staff who are both employed by AS and who work on a volunteer basis do their best to provide the best UCSB experience for students, and to give them the most bang for their buck. According to Monge-Rodriguez, AS uses a 9 million dollar budget to host large concerts, organize community service projects in the local community, and bring renowned lecturers to campus. So whether it’s working within student government, collecting recycling on-campus, or applying for an emergency loan, AS has everything a growing Gaucho needs in order to succeed and to become involved in more ways than you can possibly imagine.